This year Whitehouse's open-access courses will be offered in Indonesia and in The Netherlands. Comprising Whitehouse's most popular modules, delegates can attend the full two weeks or choose just the sessions of interest. More details of the content are available on our web site. As an essential precursor to all the others, the Basic Control course is particularly popular and is likely to be full. So the advice is to book early! Those doing so will also receive a free copy of Myke King's book. Detailed information on location and pricing is available from our partner Rhenindo. Detailed information on location and pricing is available from our partner Paperwork. Whitehouse is always excited about providing services outside of the industries in which it normally works. Recently we had a client that primarily designed control systems for greenhouses. While initially we were not sure we could help it turned out that greenhouse controls are far more complex that one might imagine. They present many of the same challenges as the process industry. Our client initially took advantage of our training services but later consulted us on the design of the control system they were developing. The most recent addition to our client list is one of the leaders in the pulp and paper industry. Many modern control techniques were first developed in this industry so perhaps it should have been of no surprise that our expertise was of value. While many of the challenges are concerned with the basic control that we cover in our courses, of great interest was our expertise in the area of inferential properties. The most recent of our articles Improve your choice of process control algorithms was published in Hydrocarbon Processing in October last year. It presented one of Whitehouse's favourite topics - that of choosing the correct version of the PID algorithm. All the leading control systems offer the option of basing proportional action on measurement rather than the more traditional version based on error. It is a much overlooked algorithm that permits much tighter tuning necessary to deal with process disturbances without causing problems when the controller set-point is changed. Few properly appreciate its importance, partly because most published tuning methods are unsuitable. The article describes the benefit and gives a reliable tuning method. Amazon recently released a Kindle version of Myke King's book. Because of the use of colour in the book, this had to wait until Kindle Fire was available. The book also attained its highest ever position in Amazon's best seller list of over 8 million books. This time it was in the top 0.5%. 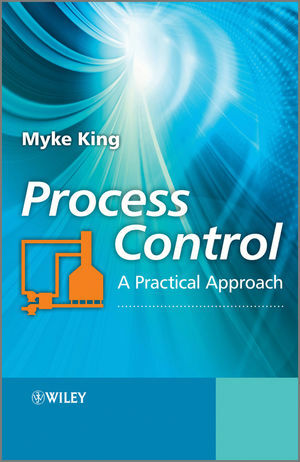 Using the minimum of mathematics, the book aims to teach the practical application of process control. It was developed from our courses and includes all of their content, plus a whole lot of other good stuff! Whitehouse continues to help teach process control in a number of university Chemical Engineering departments. Last year we presented 15 hours of lectures to undergraduates at the London South Bank University. This year we've just completed another 15 hours at Nottingham University. We've also helped a little with the development of the course at Aston University. Recently we were invited to present our lectures to a university in China and we are in discussion with others about future possible cooperation. Sponsored by the Fluid Separations special interest group of the Institution of Chemical Engineers, we presented three webinars on the design of controls for distillation columns. The main participants were undergraduates from universities around the world. Members of the special interest group can see the webinars on the IChemE's web site. The aim is to teach much more of the practical application of process control, either supplementing or replacing the theoretical content traditionally presented. Popular topics include process dynamics, PID control and feedforward control. These are then extended to cover application of these techniques to parts of the process - such fired heaters, compressors and distillation columns. For each university Whitehouse sets up a student resources page on its web site so that students can download the lecture notes and the software used on the course. They can also purchase Myke King's book at a discounted price. We remain very active on LinkedIn. At the time of writing this newsletter, we had over 13,000 people in our network. Our Myke King recently took over as moderator for the APC (Advanced Process Control) Professionals - a group with over 4,500 members. Please join us, particularly if you're interested in what we're doing with our training and Myke King's book. It is definitely worth participating in some of the discussions. Needless to say Whitehouse usually has something to say! It can be a very useful source of free advice. We have released version 12 of our Process Control Engineering Toolkit and Training software. Among many other changes it includes a new module designed to help the engineer understand some of the basic control issues. Using the fired heater fuel control system as the example, the user can explore the effect of control valve problems such as stiction, hysteresis, non-linearity and miscalibration. The same module also demonstrates the benefit of cascade control and the importance of including anti-reset windup in this and in signal selectors used in override controllers. The inferential property development tool has been greatly enhanced with features to allow the engineer to better evaluate the accuracy of the correlation developed and to explore the impact of adding additional inputs and transformations. It also now includes a more sophisticated technique for bias updating, based on the slope of the CUSUM of errors. Also included is a new module that uses Fourier transformation to detect and help diagnose any repeating pattern in a process measurement. This might be caused by poor controller tuning, unobserved process disturbances or an actuator problem. Version 12 also addresses the issues arising from installation under Windows 8 and so will run under any version of Windows. It is available for a small charge to users of Version 10 or Version 11. Since course delegates were permitted to retain our Process Control Engineering Toolkit and Training Support software we have over 100 additional active users. Many find it helpful to have ready access to the simulations we use for training - using them as refresher exercises for technologies that they may not yet have applied. But most popular are the Model Identification, Controller Tuning and Correlate Inferential Property modules included in the Toolkit. Around 20% of the new users have upgraded the single-user licence to full corporate licences, so allowing staff that have not attended our courses to also use the software. Whitehouse has also set up its Influential User Program. Key users are invited to join this program and encouraged to suggest improvements that they would find of value. They also receive a early release of the latest version and their comments taken into account before we finalise the version for general release.